The Graph Tech Resomax Wraparound Bridge is a great looking wraparound with String Saver saddles and locking bridge posts. Their String Saver saddle material is impregnated with PTFE for permanent lubrication and so strings don't bind in their slots during bending, improving tuning stability and reducing string breakage. In addition to individually intonatable saddles the Resomax bridge has allen/hex screws behind the bridge posts that can be adjusted to move the whole bridge backwards and forwards and also slant it to add more intonation room to heavy bass strings. 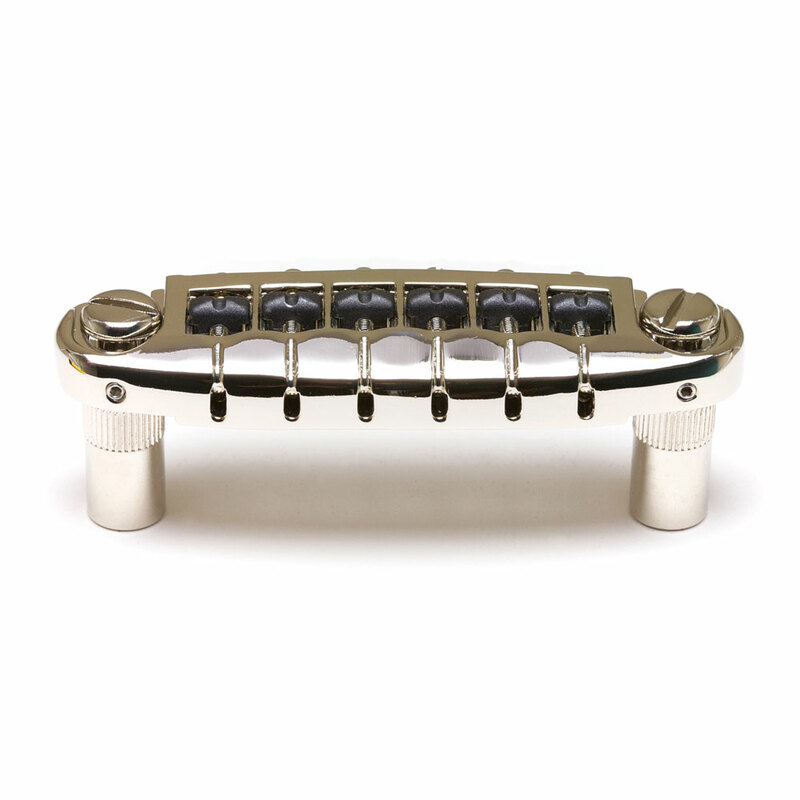 The bridge body magnetically locks to the height adjustable steel bridge posts ensuring it stays in place when changing strings.